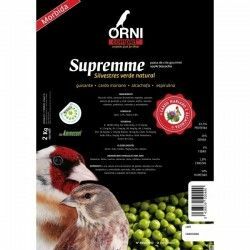 Snap-biological, vitamin and mineral for the exotic birds. 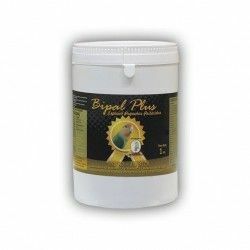 Bipal Total Exotic is a natural product, a biological, vitamin, mineral and amino acids necessary for the health of exotic birds in captivity. 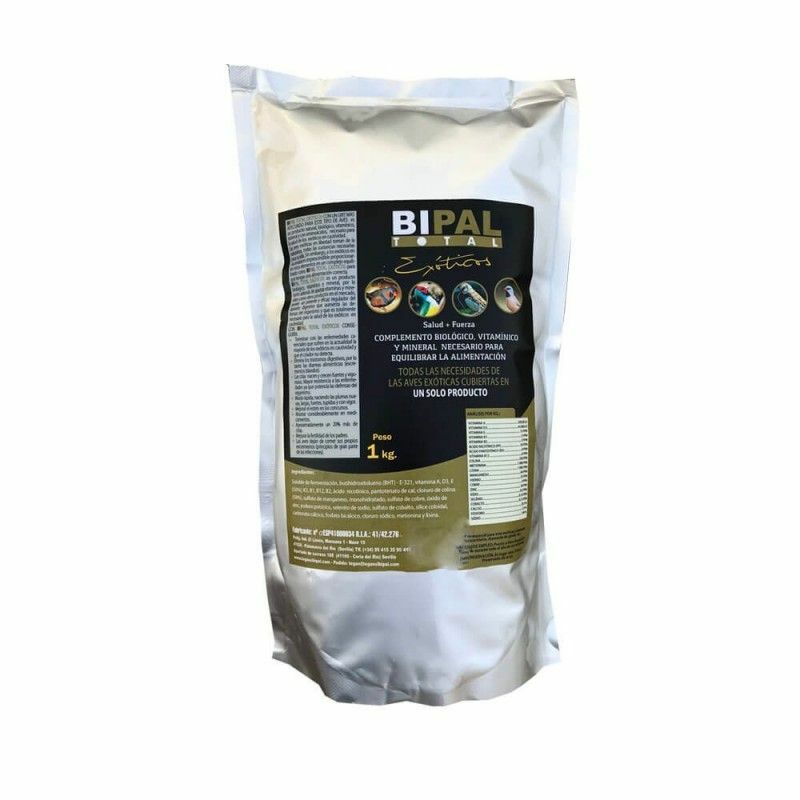 Bipal Total Exotic is manufactured with a grit special for this type of birds. 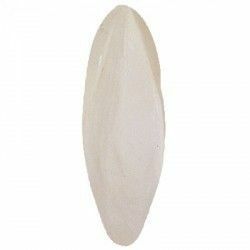 In addition, it is a complement of a biological, vitamin and mineral with amino acids necessary for health. The exotic birds in freedom take from nature, all substances necessary for their life. However when they are in captivity, it is necessary to provide a complex containing a correct diet. Unlike other products that you can find, Bipal Total Exotic has a powerful and effective regulator of the gastrointestinal tract that increases the body's defenses, and that is totally necessary for the health of the exotic. Finish with the diseases deficiency that they are currently suffering the most exotic when they live in captivity. 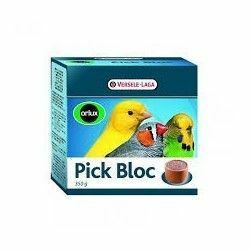 Eliminates digestive disorders of poultry. Thus ending up with diarrhea. (Stools soft). The pups are born and grow strong and vigorous. Improves the fertility of the parents. The birds stop eating their own droppings (the beginning of most diseases). Soluble fermentation, Butihidroxitolueno (BHT) -E-321, Vitamin A, D3, E(50%), K3, B1, B12, B2, Nicotinic Acid, Pantothenate Cal, Choline Chloride (50%), Manganese Sulfate Monohidratado, Sodium Sulfate, Cobalt Sulfate, Colloidal Silica, Calcium Carbonate, Dicalcium Phosphate, Sodium Chloride, Methionine and Lysine. 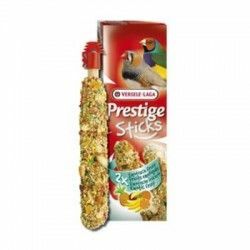 Special for exotic birds, diamond mandarin and gouldian finch. 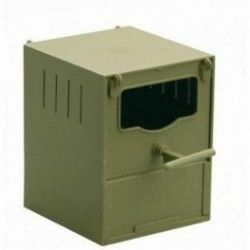 Put to free disposition of the bird during the whole year in a container. 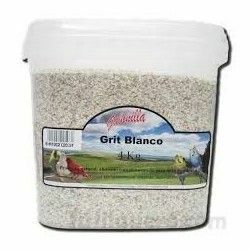 Un producto muy bueno, imprescindible para mis pájaros. 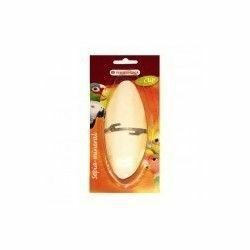 Description: Snap-biological, vitamin and mineral for the exotic birds. 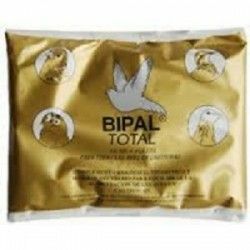 Bipal Total Exotic is a natural product, a biological, vitamin, mineral and amino acids necessary for the health of exotic birds in captivity.